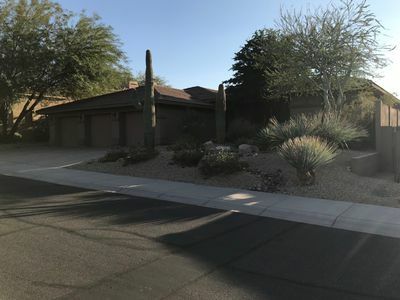 Talking Stick Resort, Salt River Fields, TPC Scottsdale and Old Town are all within 15 minutes or less of ‘Emerald Oasis.’ Access local shops and restaurants in a matter of minutes, along with the Indian Bend Wash Greenbelt mere steps from your furnished back patio! 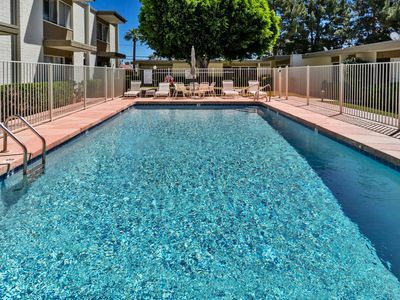 When you’re not out and about, recharge in your 2-bed, 2-bath vacation rental or go for a dip in the community pool. 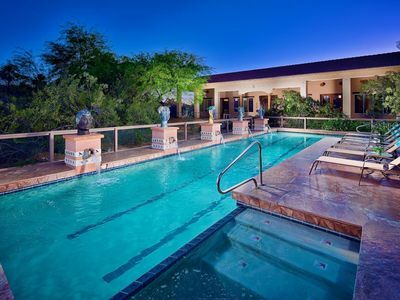 Fit for 6, this Scottsdale condo is the perfect spot for your next Phoenix area stay! 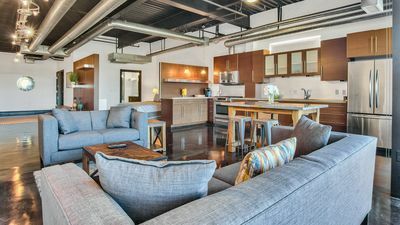 You’ll find all of your essential comforts in this bottom floor, corner unit, including free WiFi, 3 flat-screen TVs and well over 1,000 square feet of remodeled living space. 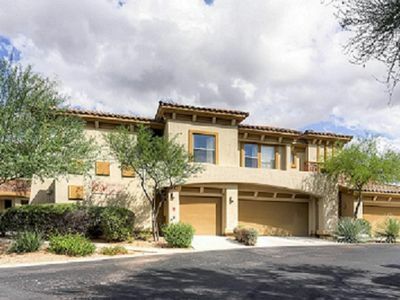 Equally as impressive as the interior, the back patio opens to the Indian Bend Wash Greenbelt, an outdoor oasis teeming with lakes, parks and golf courses. 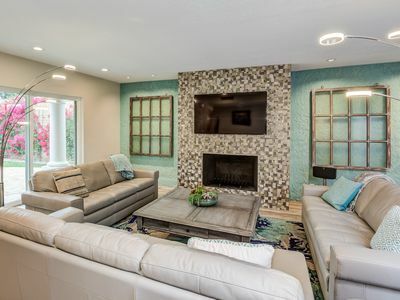 Enjoy some Scottsdale sunshine from the comfort of your private outdoor space, or pack a lunch in the fully equipped kitchen and stroll down the Greenbelt to find the perfect picnic spot. If you’d rather stay closer to home, check out the community sport courts, swimming pool or grill area. When you’re in need of some downtime, retreat to one of 2 bedrooms to watch a show from under the covers. 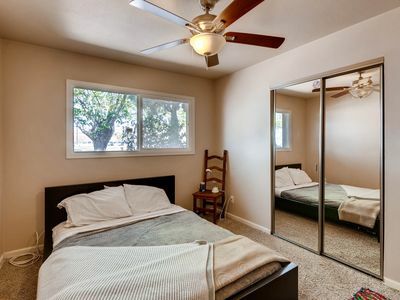 While both rooms come complete with TVs and patio access, the master bedroom stands apart with a large walk-in closet and full en-suite bathroom. Come nighttime, venture into Old Town to grab a drink at a local saloon, or stay in and make yourself comfortable in the open living area. 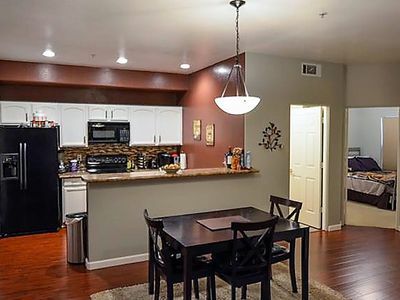 In the morning, brew a fresh pot at the coffee bar and pull a chair up to the breakfast bar as you plan for another exciting day in Scottsdale! 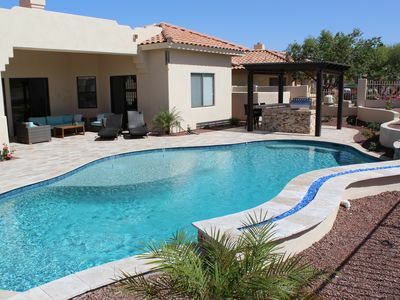 With several pools, hot tubs, basketball and tennis courts on the premises, along with the splendors of the Indian Bend Wash Greenbelt in your backyard, you may never want to leave your Arizona abode. Should you choose to explore elsewhere, you’ll find a variety of bars, restaurants and convenience shops within minutes of the property. Watch the Arizona Diamondbacks and Colorado Rockies prepare for baseball season at the Salt River Fields less than 10 minutes from the condo. If golf is more your sport, Top Golf, Talking Stick Resort and TPC Scottsdale are all within 15 minutes or less of your home-away-from-home. 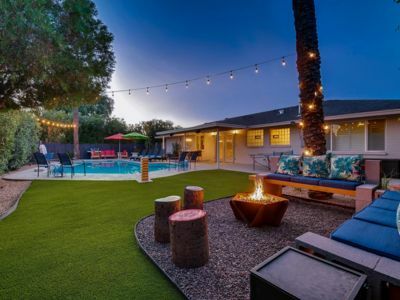 Discover the heart of the city in Old Town Scottsdale, about a 13-minute drive out, and be sure to plan a day trip down to Phoenix 24 miles away. The greater Phoenix area hosts exciting events throughout the year, including the Waste Management Open, the Bentley Scottsdale Polo Championship, the Scottsdale Culinary Festival, and the Fiesta Bowl! 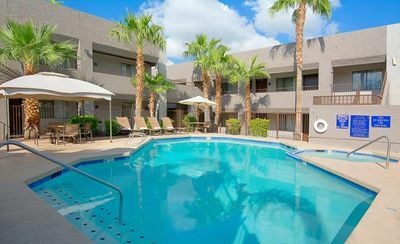 Sheraton Desert Oasis Luxury 1 bdrm.Christmas Week! 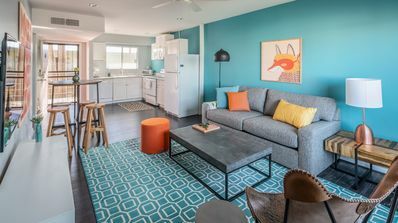 Dec.22-29 Only: $499/Week! FREE GOLF & MORE! 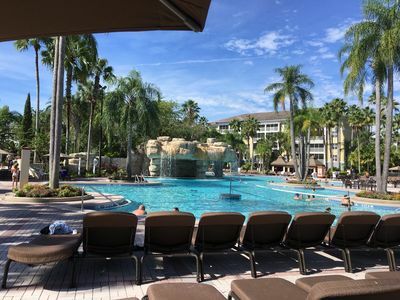 Heated Pool & Spa– NO Extra Fee! 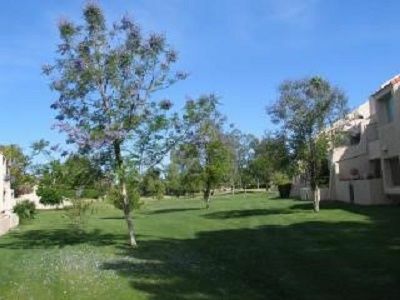 Close to Golf & Hiking+Room for the Whole Family! ALL NEW McCormick Ranch, 3 bdrm all Kings, 4 bikes, Steps to Greenbelt, 5-star! 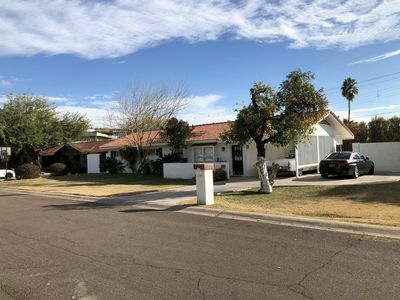 Amazing Old Town Scottsdale Condo! FREE GOLF! 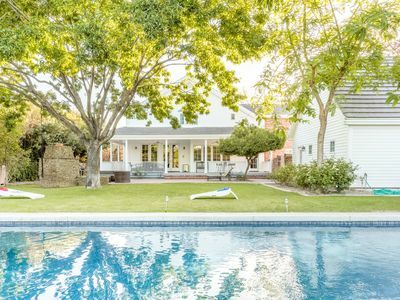 Great Location with Heated Pool, Close to Old Town & Fashion Square's Shopping & Dining!